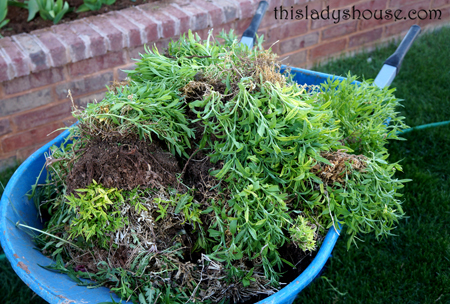 I removed over 50 dianthus plants last week from my front porch planter. I planted the Dianthus about 8 years ago when I moved into my house. For the first 4-5 years it did really well, blooming in June and staying very colorful until mid July. But even in August the color was there, it just wasn’t as full. The last two years my Dianthus has been beautiful throughout June but by July it has lost almost all of its color and failed to produce a second crop of flowers. Many of the plants were beginning to die, either from dog paws or from drought so I decided to remove it all and try something new. 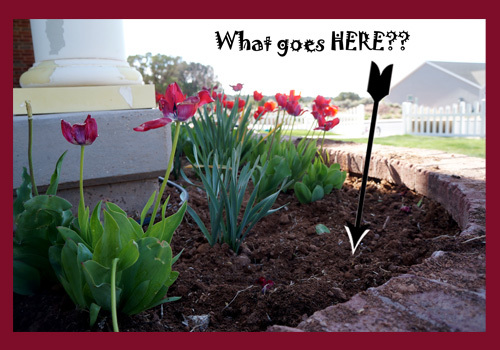 Now that the last week of May is here my red tulips are falling and my front planter will be in need of some fresh bright color. I loved having Dianthus because it was a perennial and took very little maintenance. 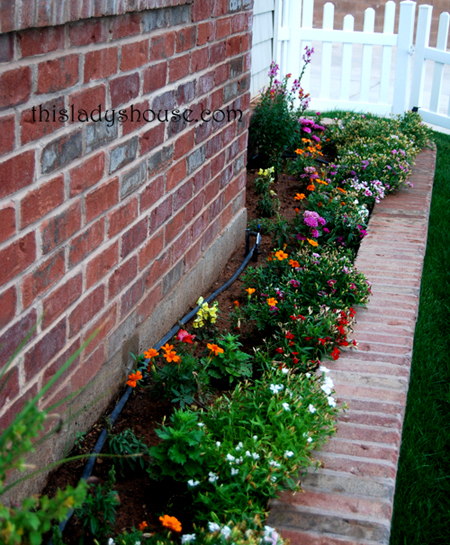 Even when it wasn’t in bloom it provided a nice green foreground for the annuals planted behind it. Now, I’m not sure what to put in its place. I would really love to plant 2 different perennials, one that flowers in the early summer and one that flowers in the early fall but I do not want something that will grow out of control. Another good trait of Dianthus was its ability to stay relatively contained.